The world is becoming increasingly concerned with water – the most precious resource – and the numbers are going in the right direction. We are seeing lives saved. But far too many people still lack access to clean water, and their lives are filled with heartache. That’s why in this 18th year of Mission: Water for LIFE our goal begins with an immediate need for 160 wells in more than 15 nations. The total goal for 2018 will include an additional 240 wells for a total of 400 new and refurbished wells! Each well, with your help, will be a life-changing blessing to families and entire villages. Without water there is no life . . . and without clean water there will be death. That is why we ask for your support today. We can help save 500,000 lives. We’re glad to report that the average cost to drill and establish a well this year will remain at $4800, but this may be the last year we can keep it there. Each well provides water for an average of 1000 villagers. This means that, for now, as little as $4.80 will help ensure a child can have clean water for life. 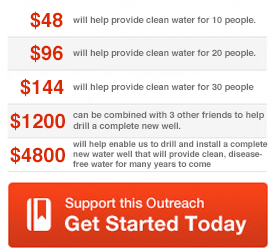 We know not everyone can give toward a complete well, but every gift helps us take a step toward 400 wells. Betty and I are both so excited about this, our 55th year of ministry! 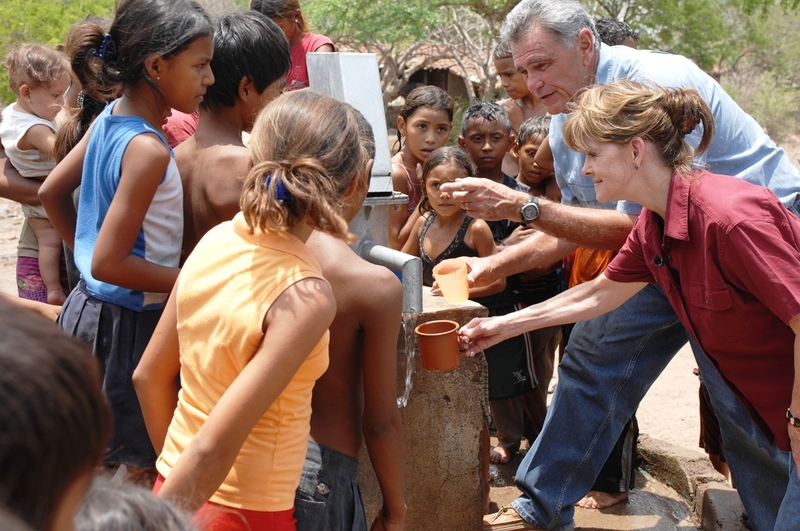 With the great goal of 400 wells, we know it cannot be done without the help of our friends. Without water there is no life . . . and without clean water there will be death. That is why I ask for your support today. We can help save 500,000 lives.